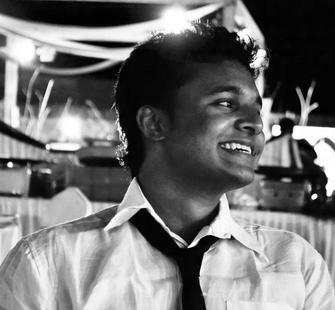 Arun Sivag is a Bangalore-based musician and social entrepreneur. He studied music at the University of Gothenburg, specializing in world percussion while deepening his knowledge of South Indian folk instruments. Leveraging his international connections, Arun went on to organize and participate in multiple arts exchange programs between Europe and Southeast Asia. Arun is the founder of several socially engaged music projects, including TREEONZ, a youth arts education organization, where he works to create platforms for artists, musicians, and social entrepreneurs, and AGNII Art for All, a youth cultural team working with underprivileged youth to empower them through art and music. “Art is a catalyst for changing the lives of people and communities,” says Arun, who continues tirelessly to organize local workshops and performances, as well as tour internationally.